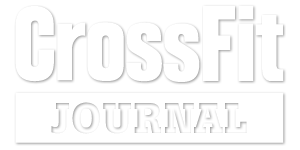 Thanks for checking out CrossFit Belltown! At CrossFit Belltown we believe that true fitness is about more than just a good sweat. At our gym, you will find the most experienced coaches, an emphasis on safe, consistent, functional movement patterns, workouts that are tailored to meet the needs of every member, regardless of age or ability – including everything from personalized and skill-specific programming to rehabilitative programming, and nutrition coaching – and a warm, welcoming community. We don’t just want to help you reach your fitness goals – we want you to have the best possible experience getting there. Our goal at CrossFit Belltown is to help our athletes achieve their goals by providing them with both the best programming and the best coaching to ensure that each individual is participating in a workout that is both effective and challenging, but also fun, and has been tailored to his or her specific needs and abilities. Whether you are attending one of our group workouts or working one-on-one with one of our coaches, you can be sure you are receiving programming that is carefully constructed and coaching that is safe, effective, and individualized.